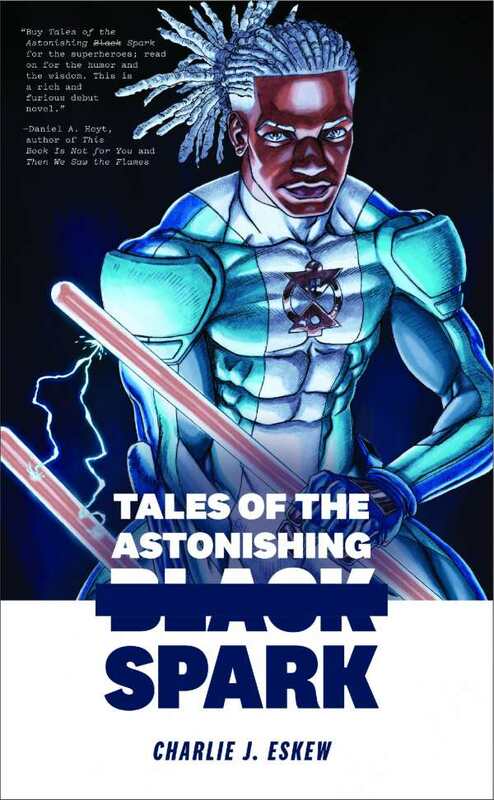 Tales of the Astonishing Black Spark is a wickedly funny adventure told from the perspective of a comic-book-savvy black superhero. It succeeds both as a superhero story in novel form and as an entertaining, funhouse-mirror view of contemporary society. The story takes place in a world where superheroes and supervillains (referred to as “super-predators”) are common. The top of the hero heap is the group called the American Collective for Resolving Overtly Negative Yowled Misconducts (ACRONYM). Donald McDougal, granted powers of electricity after being struck by lightning, aspires to join. Donald believes that becoming a member will solve all of his problems—financial, romantic, or otherwise—but soon finds that he’s somehow acquired an archnemesis, and that ACRONYM might not be motivated strictly by altruistic goals. He’s also black, a fact that’s repeatedly and humorously pointed out; Donald, who calls himself the Spark, is addressed by character after character as “the Black Spark.” Donald finds there’s nothing easy about being a superhero; aside from mastering his powers, there are rules requiring negative modifiers (such as “dastardly”) during banter, and marketing packages to purchase, not to mention the inevitable final supervillain showdown. Eskew strikes a sweet spot with his social commentary, making casual points about race without ever becoming didactic. His writing is also great fun, featuring plenty of comic-book-culture references and an abundance of wit, plus an imaginative assortment of characters, from the Bible-quoting villain Maverick Moralist to the hero DEATHRAGE, a somewhat dimwitted Batman knockoff who can’t utter a sentence without referring to his dead parents. Eskew’s greatest achievement is in making Donald, though flawed in many ways, eminently likable and easy to root for, whether during the climax of a battle with a supervillain or when he’s just figuring out how to pay the rent. Tales of the Astonishing Black Spark doesn’t require extensive comic-book knowledge to enjoy, but it will especially delight superhero fans looking for something a bit different while still comfortingly familiar.